The BMW S 1000 R is heavily influenced by the legendary BMW S 1000 RR. If anything, it’s even sleeker. Motorcycle lovers in the Barrington area and elsewhere will undoubtedly be drawn to the aggressive style of the BMW S 1000 R. Of course, this top-notch BMW motorcycle is just as well-equipped as it is stylish. Like the related BMW S 1000 RR, the BMW S 1000 R features a “stripped” design, with the minimal trim revealing the high-output engine. This design doesn’t just look great. It results in reduced weight for even more impressive performance. The standard 17-inch forged wheels are both light and strong in addition to being stylish. The BMW S 1000 R is available in the instantly recognizable optional HP Motorsport Blue/White/Racing Red color scheme. The other color combinations available include Black Storm Metallic and a 2-tone Black Storm Metallic/Racing Red design. Visit Cycle Werks of Barrington, the preferred BMW motorcycle dealership in the area. Take a look at the BMW S 1000 R in our showroom. The BMW S 1000 R proves that a super high-performance motorcycle can offer impressive comfort to its riders. BMW is all about blending performance and comfort in their cars and their motorcycles. The multiple convenience and comfort features on the BMW S 1000 R create a unique riding experience that can’t be found on competing motorcycles. The BMW S 1000 R is designed to be comfortable on long rides and spirited blasts down country roads. The ergonomic fuel tank design enables a natural riding position that allows riders to get the most out of their BMW motorcycle. The optional Comfort Seat is a bit higher than the standard seat, which means that riders do not need to tuck quite as much. This feature is great for riders that will regularly go on long trips. The BMW S 1000 R even offers optional heated grips, which can be great for the occasionally chilly Barrington weather. If you’re looking for BMW motorcycles, Barrington has the premier destination in the region – Cycle Werks of Barrington. Swing by our BMW motorcycle dealership today. The BMW S 1000 R continues BMW’s commitment to advances in motorcycle safety. While many riders may be attracted to this motorcycle’s breathtaking speed, the cutting-edge safety features are just as important. BMW is widely recognized as the leader in motorcycle safety, so riders can rest assured that competing bikes won’t be as safe. Perhaps the most groundbreaking safety feature on the BMW S 1000 R is the standard Rain Mode. Motorcycles, especially those with this much power can be a little challenging to control during inclement weather. The Rain Mode setting provides a more gradual throttle response for enhanced stability. The BMW S 1000 R also has advanced ABS and Stability Control systems. Competitors can’t match this selection of rider protection features. Get more info on the BMW S 1000 R’s safety features at Cycle Werks of Barrington. Stop by our showroom today. While the BMW S 1000 R excels in multiple areas, its performance is what makes it so enticing to riders in the Barrington area and throughout the country. The heart of the performance is the high-output 999 cc inline 4-cylinder engine kicking out a massive 165 horsepower. This engine is paired with a lightning-fast 6-speed transmission. 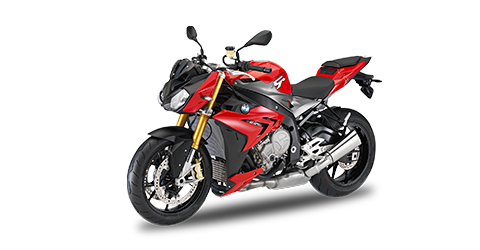 The BMW S 1000 R even includes a standard lightweight titanium exhaust that creates a piercing exhaust note. Learn everything about the stunning performance of the BMW S 1000 R at Cycle Werks of Barrington. Stop by our BMW motorcycle dealership today. BMW is pushing the envelope for motorcycle technology. The BMW S 1000 R even offers optional GPS navigation, which is rare for motorcycles in this class. Bluetooth® connectivity is also optional for riders that want to be able to link their devices. The tech on the BMW S 1000 R can be controlled with an available high-resolution 5-inch touchscreen. The friendly and knowledgeable associates at the Cycle Werks of Barrington showroom can tell riders in Barrington, IL all about the advanced technology on the BMW S 1000 R. Come in for a visit today.